From left: Coca Cola Experiential Manager, Sarah Wanasakami, Coca Cola Digital Manager, Mukami Macharia, Coca Cola Central, East and West Africa- Marketing Assets Manager, Andrew Alovi (centre), Almasi Bottlers, Trade Marketing Manager, Carolyne Orao and Shem Oluchiri. 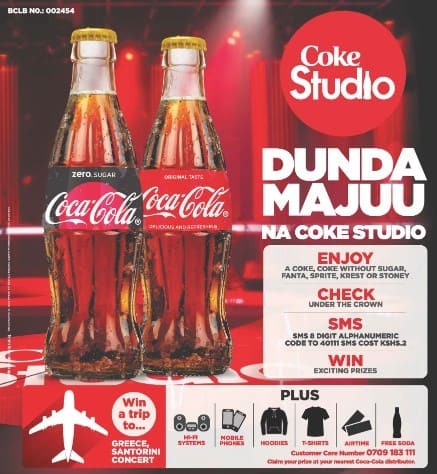 Over 6.8 million Coca-Cola consumers stand to win mobile phones, home theatres and exclusive Coke Studio merchandise over a 12-week promotion. 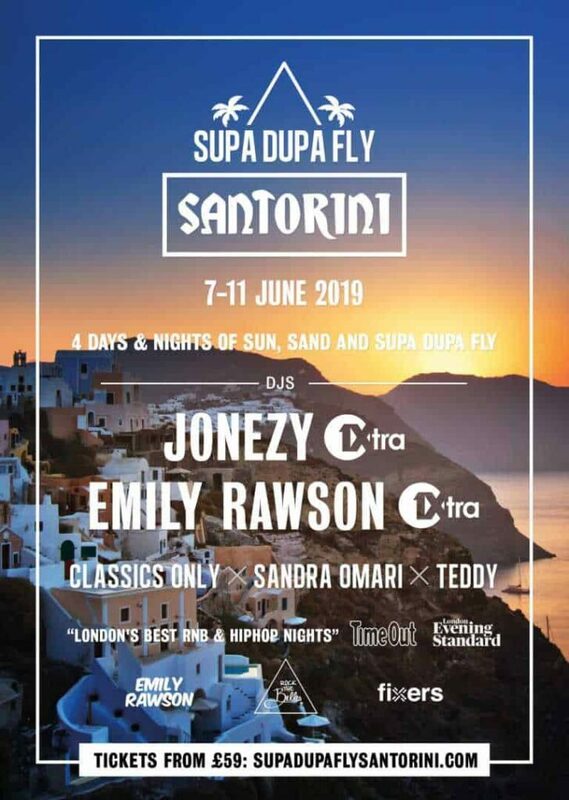 In addition, eight lucky consumers stand a chance to win a three day trip to the ‘Supa Dupa Fly’ music festival in Santorini, Greece. 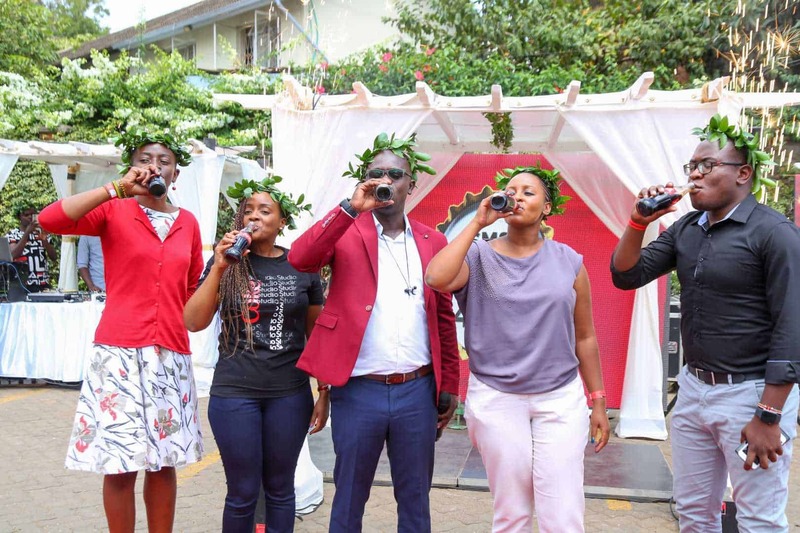 The Coca-Cola System in Kenya has launched the National Consumer Promotion dubbed ‘Dunda Majuu na Coke Studio’ to reward loyal consumers. The festival is a one of a kind annual summer music festival at the Greek Island. Due to its beautiful location and wonderful music from international Deejays, playing primarily 1990s and 2000s hip-hop, RnB and Garage lover’s diary, the event attracts a lot of revellers and tourists alike creating a perfect place to create memories. The line-up for the Greek festival will feature some of the best in demand international deejays who have played at a number of A-list celebrity parties and lucrative events globally. Purchase a 300ml Coca-Cola, Fanta, Sprite, Krest or Stoney in a glass bottle with a yellow crown. Check under the crown for a code or redeemable prize. For the product, it will be redeemed instantly at the point of purchase. The Grand Prize winners will be contacted through a dedicated customer care number 0791087785. Winners will be adviced on the selected official Coca-Cola distributors to pick them from. 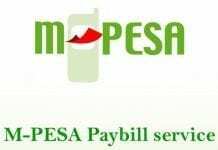 For any queries or concerns about the promotion, consumers are requested to call customer care on 0709183111. To participate, consumers must be eighteen years and above. 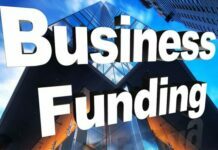 Over the years, Coca-Company has been rewarding customers through consumer promotions. Top 6-Inch Mobile Phones Under KSh 15,000 In Kenya. 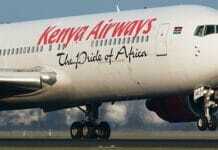 How can you start your acting career in Kenya?